First of all, on behalf of everyone at Boca Raton FC, I want say thank you for your support in this fantastic inaugural season. Without a doubt this was an incredible year! We finished the season with another championship to make our city proud! Two competitions, two titles. How amazing it that? We could not have done this without your support. This success requires teamwork and you are part of our team. When the season was all said and done, we had a total of 2,466 fans come to attend our home games in 2015. We broke the 4th Division attendance record in South Florida, and we are taking that record-breaking number, and with your help, we want to shatter that next season. To put into numbers just how great our first season was, consider this: In the 22 games we played across all competitions, we won 19, tied 2 and lost just one. Not only that, but we are the only amatuer club from Florida to advance past the Open Qualifying Round of the Lamar Hunt U.S. Open Cup. That’s unbelievable. We are already working on 2016. Our preseason will start with a game against the Fort Lauderdale Strikers, as well as other friendlies scheduled for January that will be announced in the coming weeks. We are working very hard to bring Boca Raton FC to the next level. As we are very satisfied with what we have accomplished so far, we are looking forward to the future. We are working with several partnerships with clubs in Europe and in South America to bring to Boca Raton the best of soccer from around the world. God willing we will accomplish all our goals. We are always going to work hard to make you proud of this team and call it your own. 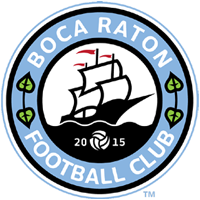 Thank you once again for your loyalty, for your tireless support and for your commitment to our Boca Raton FC.